Are you confused? Your eyes are not fooled, this bags are real and they look exactly like on the pictures. I have seen them with my very own eyes. 2D is the new and better 3D and the Taiwanese label JumpFromPaper makes what is so hard to believe come true: They create hand bags you'll need to take a second glance to realize they are not just a cartoon day dream. Chay Su and Rika Lin are the creative masterminds behind JumpFromPaper. 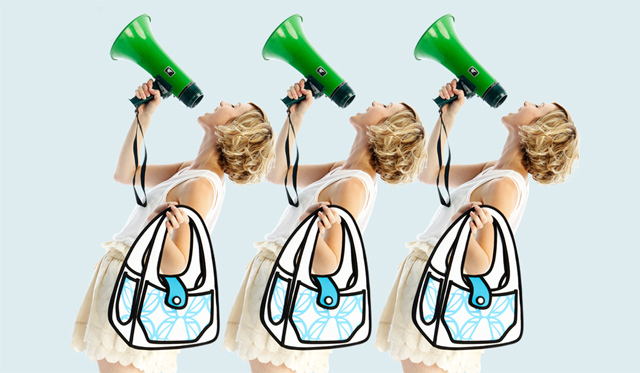 The two crazy girls both studied communication design and had the fabulous idea to turn 2D illustrations into bags. Their designs looks literally like they jumped to life from a quirky comic book and unlike anything else I've ever seen. The philosophy of JumpFromPaper is, that life does not need to be that serious. People are born to enjoy. 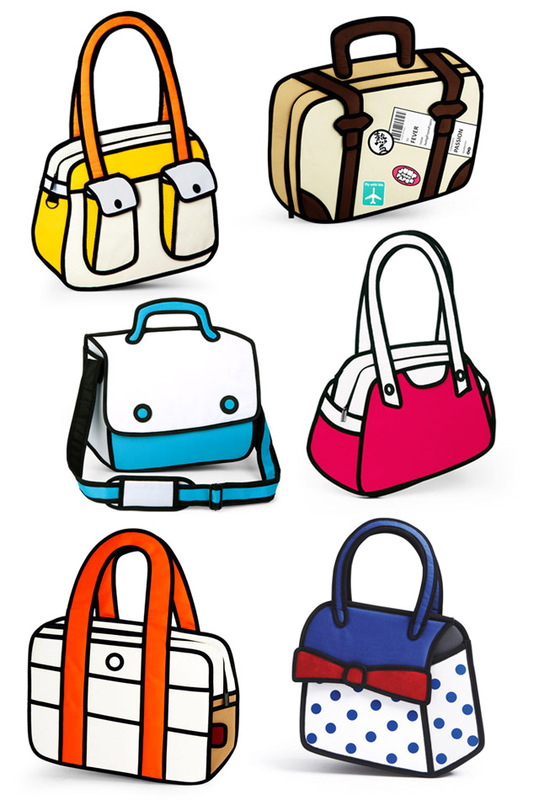 Indeed, this colourful bags spread a lot of fun and turn you instantly into a comic character. Probably the greatest thing is to take a picture of you with a JumpFromPaper bag: Every shot looks like photoshoped and causes a sweet irritation, which leads to unstoppable fascination. Katy Perry was already spotted with a playful JumpFromPaper handbag, Lovely Sara will follow soon. Do you wanna join the pop art 2D gang? Visit JumpFromPaper's website and shop your own comic bag or join them on Facebook. Copyright of all pictures by JumpFromPaper. wtf? wow :D they look really crazy! Haha it's genious isn't it? I love the stickers on it. Gerade die mit den blauen Punkten hats mir angetan. Ach Sara, ich hab da noch eine Frage zu dem Shop. Die ware kommt ja aus Taiwan, wenn ich das richtig verstanden habe. Hast du dort schon einmal bestellt oder Erfahrungen mit der Seite gemacht? Ich bin da immer etwas vorsichtig, gerade wenn es um Paypal geht. vielen, vielen lieben Dank für die Antwort. Hast mir damit jetzt echt großen Bammel abgenommen. They look amazing. I've seen them on sale in London and they're awesome in real life. Das dachte ich auch!! :D Ich hätte nie gedacht, dass die wirklich so super aussehen.